There is no denying that businesses across the country have experienced a turbulent economic ride over the last few years. Whether your company has a commercial lease in Phoenix, owns a business space, or has employees who work remotely, the economic downtown has been felt across the Valley. The good news is that Arizona is experiencing a modest but steady trend in job growth. 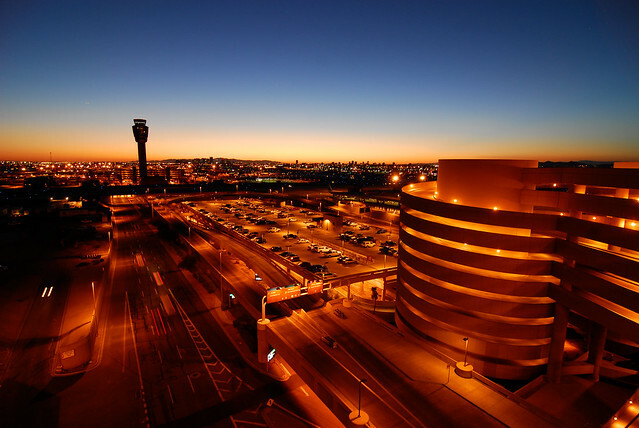 A Brookings Institution study found that Phoenix leads the nation in economic growth, and The Republic recently reported that local bankruptcies decreased 23 percent in the first half of 2013, compared to the same period in 2012. The fact that people are filing fewer bankruptcies is positive for businesses that rely on these consumers. The Republic also published a list of the 100 companies that employ the largest number of people in Arizona. Wal-Mart topped the list with 31,837 Arizona employees, Banner Health was second with 28,011, and Kroger (the parent company of Fry’s Food) is the third largest employer with 18,000 full-time employees. The employment rate continues to rise in Phoenix, signaling that business health is improving, and companies are back in growth mode. Although unemployment has decreased, many people fear that the high vacancy rate of office buildings in Arizona might become a “new normal.” The number of businesses signing a commercial lease in Arizona may be lower than the national average, but it is steady. Phoenix has a higher than average vacancy rate than the rest of the state, which could be good news for businesses that are looking for a commercial lease in Phoenix. With this surplus in availability, companies can capitalize on the current conditions to get the perfect space at an affordable price. If your business wants to be a part of Arizona’s thriving economy, contact Camroad Properties today for more information on signing a commercial lease in Arizona. 1. Share information as soon as possible. Let your employees know what parts of town you’re looking at moving to. As soon as you’ve decided on your new location, tell your staff. Your new office location may drastically affect their commute to and from work. By communicating early and often, your employees will have time to plan accordingly. 2. Try to accommodate your team. Talk to employees to determine their transportation needs. If they have to commute farther distances to your new office, identify public transportation routes that they may wish to use, and provide incentives for using them. If traffic is a major factor in their commute, allow more flexible scheduling so staff can come in earlier or later to avoid peak traffic. In addition, make sure your new office has enough free parking for those who require it. 3. Communicate about the move from start to finish. Keeping employees involved throughout the moving process will allow them to have a say in the decisions being made. Ask your team what they did or didn’t like about your old office space (such as layout, common spaces, equipment, etc.) to make your new one better and increase morale. 4. Get acquainted with the area. By familiarizing yourself with the area around your new office, you can better communicate those details to your employees. People will have gotten accustomed to their favorite restaurants, coffee shops, and other places surrounding your old office, so pointing out similar places in your new location can help them feel more comfortable in their new surroundings. If you can, put together a packet of local businesses’ information, and take your staff to visit the area before moving. As an employer, there are so many things you can do to help create a seamless transition from one office to another. The more you engage your staff and keep them involved, the better your move will be. Your team members are the best people to consult while planning and executing your move because they’re immersed in the daily work environment and understand how it could be improved. If you’re ready to move but haven’t found an office that fits your company’s needs, contact Camroad Properties for help finding the perfect office space in AZ.